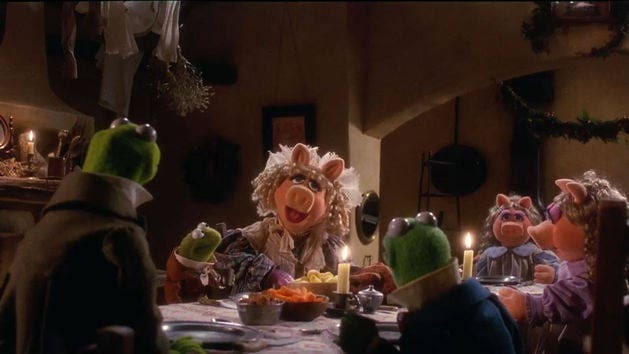 The Muppet Christmas Carol is guaranteed to put you in a holiday spirit that will stay with you forever. 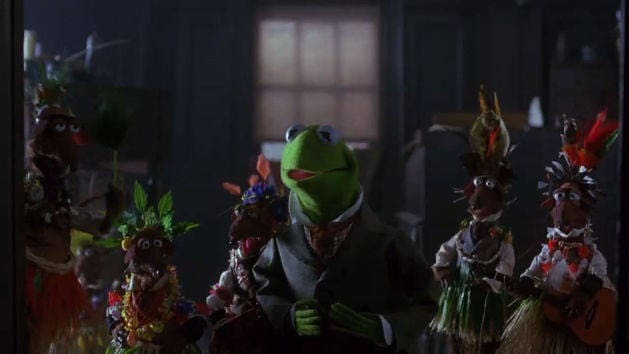 Enjoy the incredible spectacle of Kermit the Frog as Bob Crachit, Miss Piggy as Emily Crachit and Michael Caine as Scrooge. Disney Intermission: Press "Pause" and see what happens when the Muppets Show up at your door to sing your Christmas Carols - Muppet Style! Muppet Audio Commentary: All New Audio Commentary from your favorite Muppets - Kermit, Gonzo, Rizzo, and More! Mr. Cratchit asks Scrooge for more coal for the furnace in The Muppet Christmas Carol. The Cratchits enjoy a meager but blessed meal. 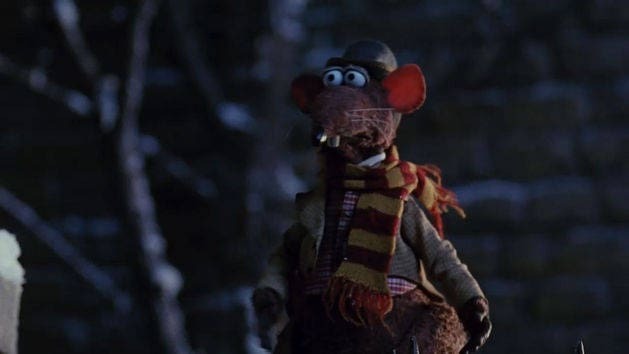 Rizzo the Rat take a a courageous leap in The Muppet Christmas Carol. 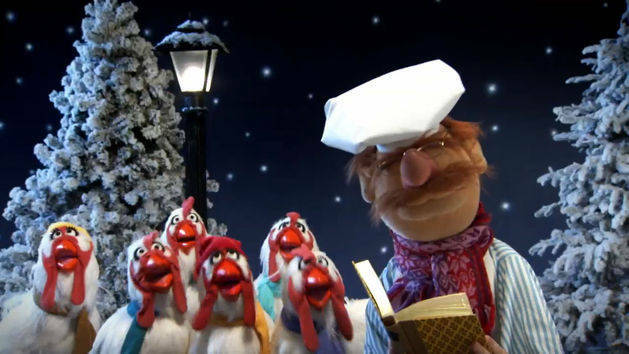 The Swedish Chef and the chickens croon a familiar yuletide melody.